I apologize about the disgusting title of this post but it is what it is. "Furt" is also the title of Glee's Thanksgiving episode. How fitting, right? From what I hear, the episode deals about marriage and proposals. Looks like Carol Hudson and Burt Hummel are tying the knot on this episode. And they aren't the only ones who's gonna go down the aisle this episode. Sue Sylvester is also marrying, the question is who? or even what? Sue's choices for wedding dresses!?! I also read from somewhere that Sue is gonna marry in a tracksuit dress. How awesome is that? Also, Sue's mom Doris will be checking on this episode. Doris is played by legendary Carol Burnett. They'll be singing a duet for "Why, Oh Why, Did I Ever Leave Ohio" from a 1950's musical The Wonderful Town. On other news, looks like Kurt's on his way to the breaking point and is making a very big decision. I wonder, is he gonna transfer to Dalton Academy? 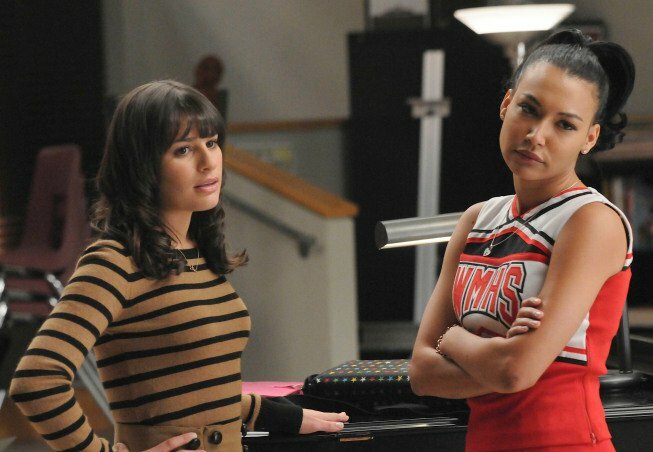 Here are some photos I got from Glee's Facebook page. Doris and Sue, singing! Epic! Looks like these two could also use some happy pills.